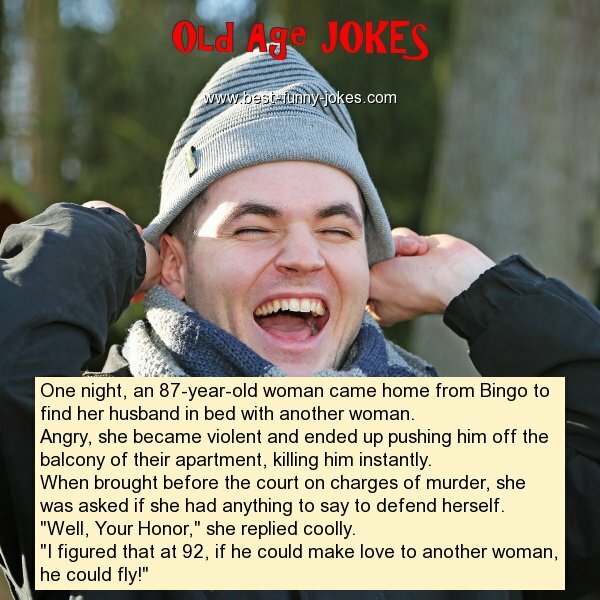 One night, an 87-year-old woman came home from Bingo to find her husband in bed with another woman. Angry, she became violent and ended up pushing him off the balcony of their apartment, killing him instantly. When brought before the court on charges of murder, she was asked if she had anything to say to defend herself. "Well, Your Honor," she replied coolly. "I figured that at 92, if he could make love to another woman, he could fly!"